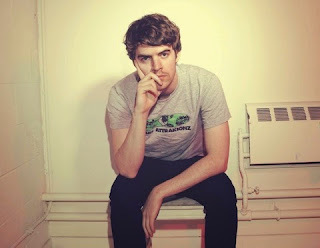 It seems that Ryan Hemsworth has been feeling nostalgic of late, following his synth-based remix of blink-182's 'Feeling This' with a take on Sum 41's seminal 'In Too Deep' from 2001 debut album 'All Killer, No Filler'. Listen to his Canadian Heritage Version below. Both cuts are available on Hemsworth's new freely downloadable mixtape RyanPack Vol.2, which also includes a guest appearance from Narduwar and a remix of t.A.t.U's 'All The Things She Said'. Sounds incredible already. While that's downloading, enjoy Hemsworth's atmospheric and wistful version of 'In Too Deep'. Find more info at ryanhemsworth.com.